Come join us at Hello Sunshine in the Old Mill for holiday shopping and a special meet and greet from one of Bend’s own children’s book creators, Kristen Riggle! 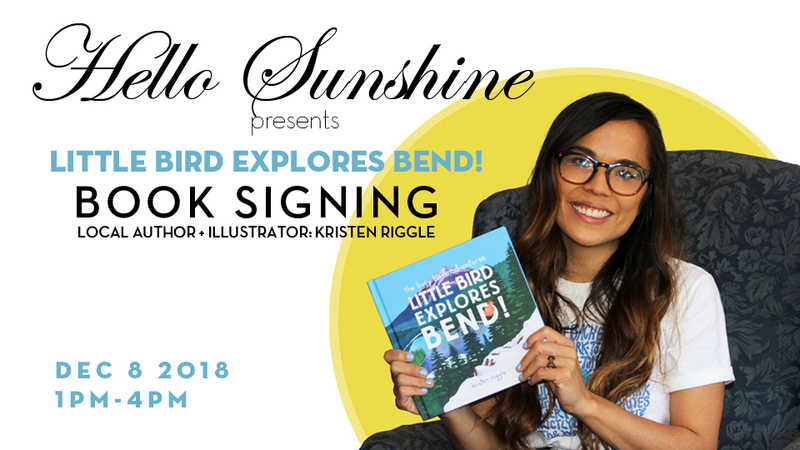 Kristen will be signing and dedicating her colorful keepsake “Little Bird Explores Bend” books for all who want a personalized copy to keep or gift for loved ones. She will be here from 1:00 p.m. to 4:00 p.m. This will be the perfect day to come by the Old Mill because you can also pay a visit to SantaLand! A festive way to celebrate the season.